Indianapolis' George Washington Community High School. 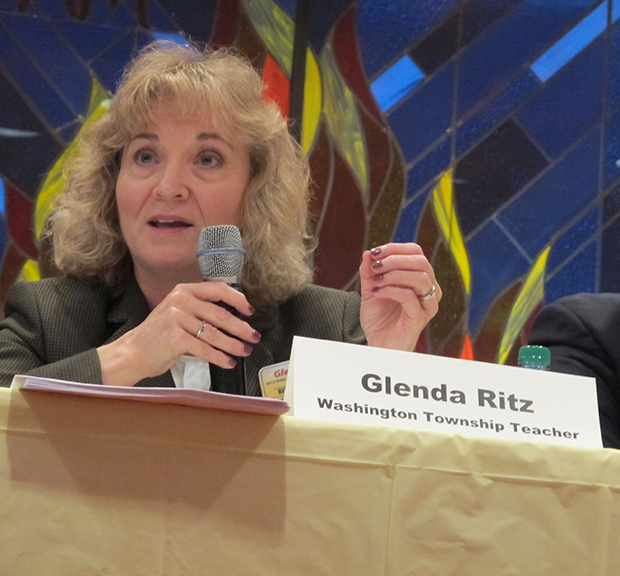 It’s no secret Superintendent of Public Instruction Glenda Ritz opposes state takeover of struggling schools. She campaigned against the intensive interventions her predecessor, Tony Bennett, pushed for four schools in Indianapolis and one in Gary. But those turnaround schools and others flagged for state intervention remain on her plate now, regardless of her feelings towards takeover. The core problem comes down to conflicting motivations. 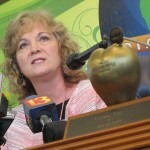 State Superintendent Glenda Ritz isn’t a fan of takeover/lead partners. So she was glad to recommend releasing Washington back to IPS control — a first since direct state interventions began in 2011. But some board members are deeply invested in state intervention. They really did not want to “give up” the school to IPS, in their view. And, right in the center, was a money problem. And, just to add in one more twist, IPS might not sign on to its own plan, the very one the state board approved. Washington was nearly taken over by the state in 2011 after six straight years of F grades for low test scores. Instead, the state board chose a lesser intervention — assigning a New York-based company called Amplify as a “lead partner” to help guide reform efforts at Washington. Representatives from Amplify told the State Board the problem was with IPS. They say test scores at Washington would likely drop this year and earn the school a D, in large part because of students who transferred from the four IPS schools taken over by the state. 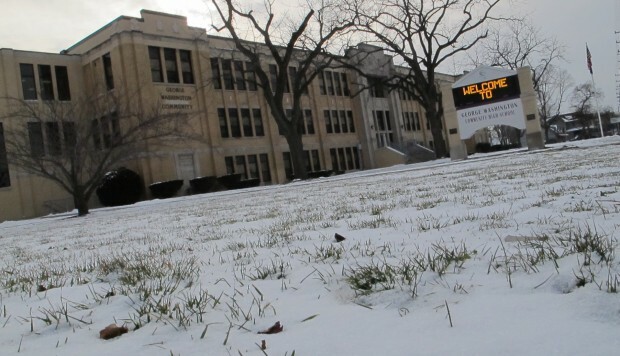 Can The State Board Guarantee Continued Grant Funding For Takeover Schools? But the district’s interim superintendent, Peggy Hinckley, says Amplify could have anticipated the influx because urban students often move schools. The bottom line? Money. Without federal school improvement dollars — Washington has exhausted its grant, writes Elliott — there isn’t money to pay a lead partner. In the case of Washington High School, Ritz suggested turning control over to her department, but the State Board balked at that plan. Instead, board members voted in favor of a second proposal — releasing the school back to IPS. But the IPS school board still needs to approve it. Perhaps the most telling part of yesterday’s discussion about George Washington is the ongoing tension between Ritz, a Democrat, and State Board of Education members, who were all appointed by Republican governors. As we’ve written before, Ritz thinks outreach is the best way to help struggling schools. But the State Board — now under the thumb of a new education agency, the Center for Education and Career Innovation — may have different ideas.